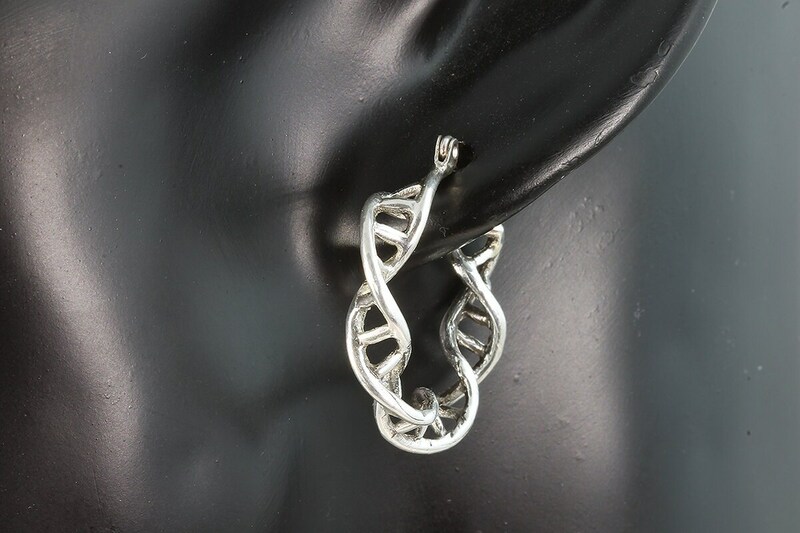 Sterling silver hoop earrings with DNA helix motif. Not just for the science buff!!! 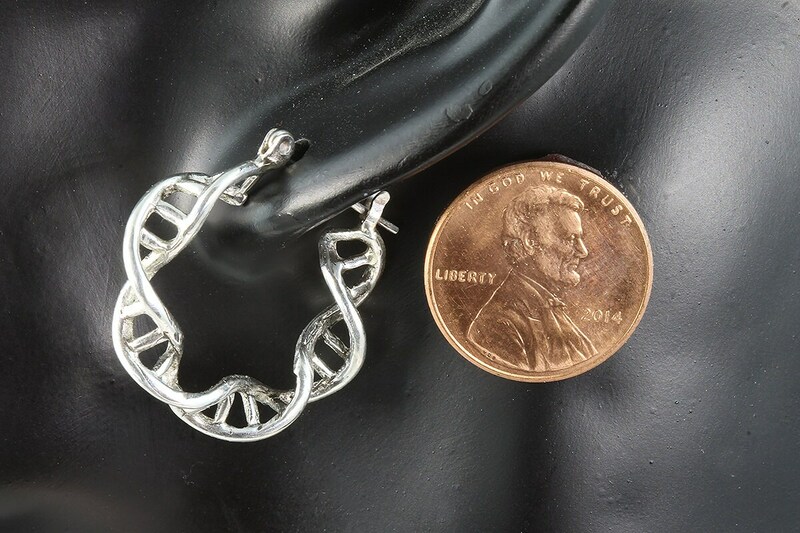 Absolutely gorgeous and well made earrings! 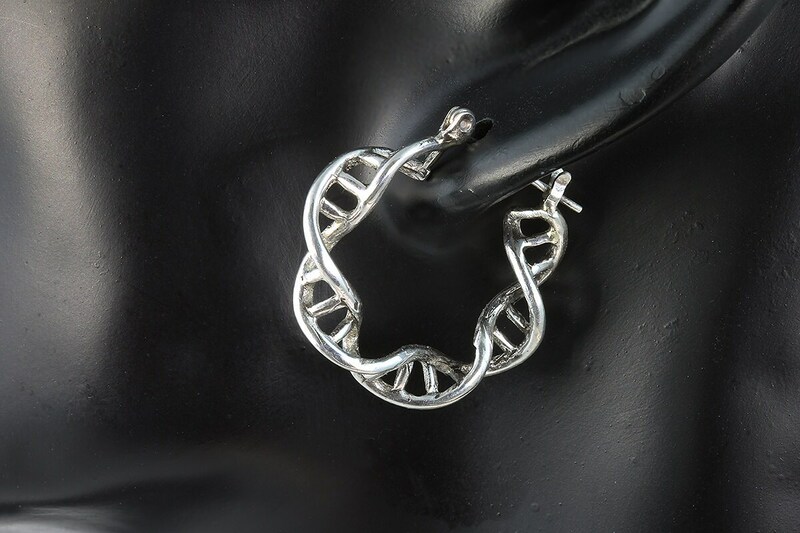 I'm a huuuuge science nerd, so these will go perfect with my DNA ring! I'm wearing these practically every day now! Thank you so much! !